This section is a compilation of resources for the purpose of determining what kind of conditions you need to prepare for on your journey. It includes weather conditions, but also highway construction schedules, trail updates etc. We hope that you will use it as a dashboard for every trip you take part in. Click on a heading below to see more. 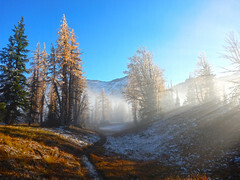 It’s always worth checking the weather before embarking on any backcountry trip. Though you should always be prepared for ANY conditions (within reason), a quick look at Environment Canada is highly recommended. Forecasts for specific mountain areas can be found at the Mountain Forecast website with precipitation and temperature info for several elevations. Lastly, knowing when sunrise and sunset happens is crucial for returning home safely so don’t forget to factor it into your trip plans. Avalanche risks and snow levels are two of the biggest reasons to go to the web for latest updates. Avalanche.ca is a great hub for getting to all regional and national avalanche reports. They even offer an online flash course to help you educate yourself. Snow levels might take a bit more investigation. Any of the specific locations, and trail report links will usually be your best source of information. More links are also provided in the Wanderung Winter Resource page. Drive BC – Up-to-date BC road events and conditions. Includes construction and natural obstacles such as washouts. It even has webcams for things such as border crossings. Sometimes people discover a link that is the holy grail of current conditions for a specific area. This sort of information can make trip planning much easier so that no one is surprised by 2 metres of snow when they expected a clear trail. We will continue to add to this section as those links are discovered. Whistler Alpine Weather Forecast – A very detailed report of conditions in the Whistler area including freezing levels, snow line and recent snow conditions. Also very informative in Summer for all Whistler and Pemberton based trips. 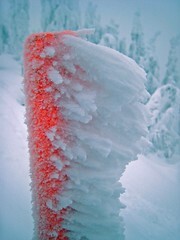 Garibaldi Park Trail Conditions. Very specific information about specific trails in Garibaldi park including singing Pass, Wedgemount Lake, Diamond Head, and everything around Garibaldi Lake. This resource states when it was last updated (usually weekly) and offers realistic expectations about if a trail is really too dangerous to use at a given time. In addition, it offers abundant information about the trails themselves such as distance and elevation gain. Manning Park Trail Conditions – As for Garibaldi, Manning Park also provides updates for all trails within the park. Unfortunately it is not always updated as frequently. Distances are given for each trail. BC Hydro recreation site updates – BC Hydro maintains a page with details of trail conditions and closures due to high water levels and/or construction work (Buntzen Lake and Hayward Lake areas). 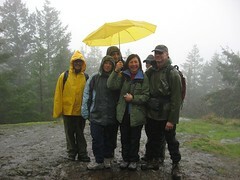 Metro Vancouver – updates and trail conditions for the numerous regional parks in the Metro Vancouver area. Most useful for Lynn Headwaters and the Lower Seymour Conservation Reserve. Mt. Baker Trail Conditions – Another nice list of current snow levels for the numerous hikes found in the Mt. Baker area (Mt. Baker-Snoqualmie National Forest). Wanderung trail reports are not only a good clue as to what recent conditions are in a given area, but the archives can give you an idea of snow levels etc. were in past years around the same time. This should give you an idea what kind of information can be of the most value to provide in the reports you submit! 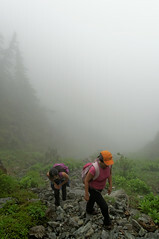 Wanderung also has a Facebook group where trail updates can be posted. Please feel free to sign up and contribute your knowledge to the discussion. Live Trails is a great resource for checking recent trail conditions. Club Tread is another hike website where people post recent trip experiences and has a huge membership base. Conditions are frequently discussed here.